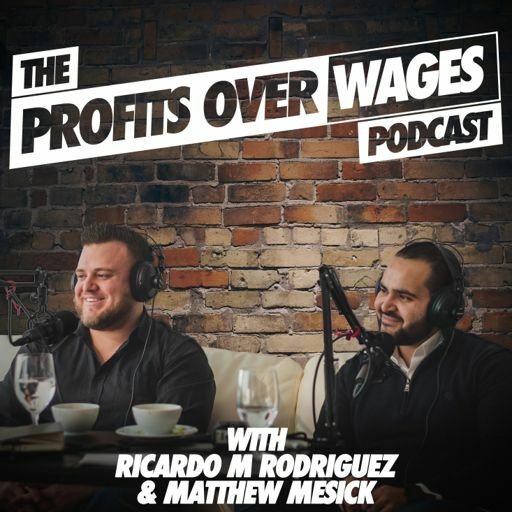 On Episode #31 of the Profits Over Wages Podcast, we sit down with Phil Singleton - He is a web designer, SEO expert and award-winning author. Since 2005, Phil has owned and operated a digital agency based in Kansas City. In 2016, Phil and John Jantsch, of Duct Tape Marketing, co-wrote SEO for Growth which is an Amazon bestseller and has been featured on MSNBC, Entrepreneur and was named by Forbes as the #1 SEO book on its list of “Essential SEO Books For Every Entrepreneur to Read”. Other of Phil’s ventures include the popular Wordpress SEO plugging, WP SEO Structured Data Schema, that has been downloaded over 100,000 times in the last year. And, Podcast Bookers, a service that helps marketers and executives get booked on established podcasts as a way to develop authority, personal branding, improve SEO, and most importantly, generate new leads and sales. On this episode we talk about podcasting, personal branding and why it’s important, what mistakes small business owners make when it comes to SEO and what to do about it, and why you must look at your website as an asset and not just an expense or an online brochure. And much much more. Enjoy the show.